If you've a guitar or bass with through-body stringing, take care if you're doing any work on it with the strings removed. It's not that uncommon for one or more of the string ferrules (those little metal cups where the string anchors) to be loose. After crawling around, searching my workshop floor for the hundreth time, I began to stick a strip of masking tape over the ferrules as soon as the strings are removed. Save yourself some hands-and-knees searching. Tape 'em up. If you've got an older instrument be careful of the finish. Stick the tape on your jeans a few times to remove some of the tackiness and don't leave it on the guitar too long. 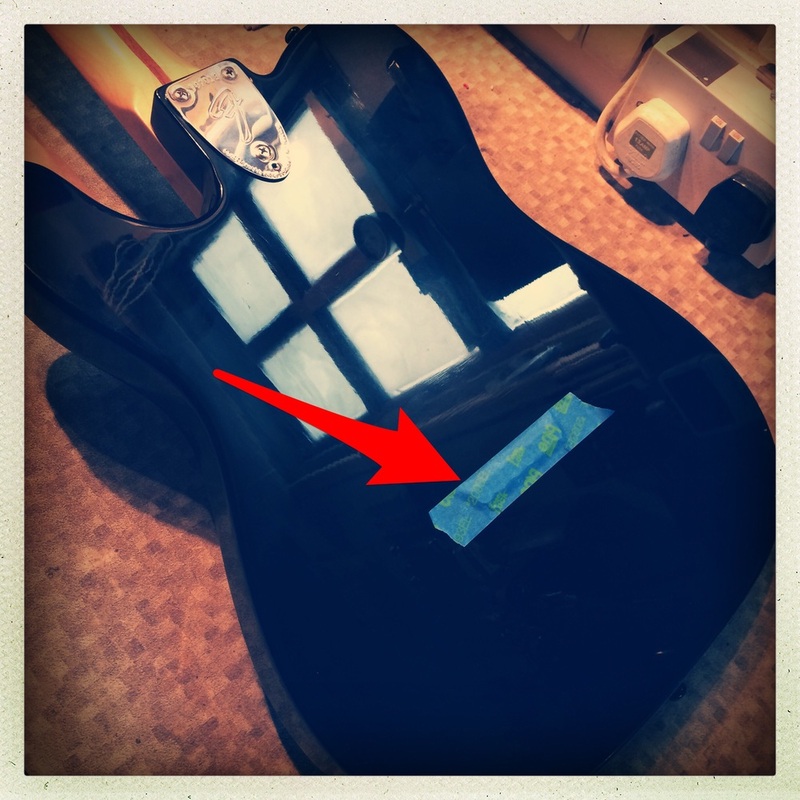 This can affect any instrument with string ferrules but Telecasters do seem most prone to disappearing ferrule syndrome.